Myles H. Alderman Jr. is a founding member of Alderman & Alderman and leads the firm's Bankruptcy, Creditors Rights’ and Restructuring Practice Group. He has extensive experience representing businesses in financial distress, secured and unsecured lenders, trade creditors, committees and parties interested in acquiring assets, in Chapter 11 business reorganizations, liquidations and workouts. Industries with which he has experience include, construction, design, fashion, manufacturing, distribution, materials handling, retail, aviation and ground transportation. Myles has been guiding business leaders, accountants and lawyers through Chapter 11 Business Reorganizations since 1986. His clients range from large financial institutions and global companies to closely held businesses and individuals. 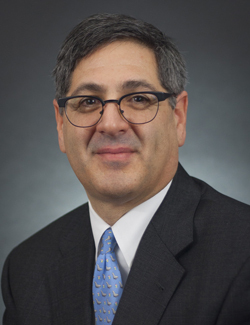 Myles Alderman has published works on the subject including the Bankruptcy Law Chapter of the Connecticut Lawyers Deskbook (CBA, 2008) and the best selling business bankruptcy law book Chapter 11 Business Reorganizations: For Business Leaders, Accountants And Lawyers (Outskirts press, 2006). His explanations of the bankruptcy process have appeared in a wide range of publications including the New York Times and the Wall Street Journal. He has crafted strategies to help clients address issues of first impression in cases that have been "mission critical" to clients. He also has extensive experience with complex litigation, arbitration and mediation. Myles regularly represents franchisees and has substantial experience resolving disputes for franchisees in the Quick Serve Restaurant business, including of Subway franchisees. Based upon the review of his substantive legal ability and ethics by other attorneys and judges before whom he appears, Martindale-Hubbell awarded Myles an AV Preeminent™ Peer Review Rating™, its highest rating for attorneys. He was also selected to the Connecticut SuperLawyers for the areas of bankruptcy, creditor debtor rights/insolvency and reorganization law. Connecticut Bar Association: Chair Professional Discipline Section; Member Executive Committee of the Commercial Law and Bankruptcy Section; Member Advisory Committee to Connecticut Lawyer Magazine. American Bankruptcy Institute: Member of the Business Bankruptcy Section and the Uniform Commercial Code Section.